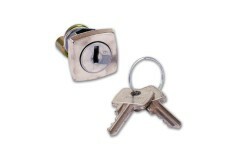 Lowe & Fletcher are a specialist manufacturer of locking solutions, and have been used for decades by manufacturers of lockable cabinets, safes, cash-boxes and more. 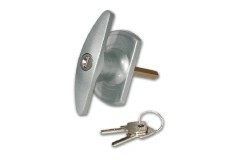 Their locks are the most popular choice amongst manufacturers for OEM fitting, and therefore can be found all around the country in devices of all shapes and sizes, with varying applications. 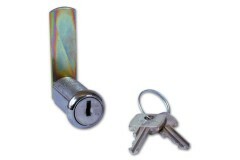 The principle means of identifying if you have a lock made by Lowe & Fletcher will be the stamped marking on the keys either stating the Lowe & Fletcher name in full, or "L&F" for short. 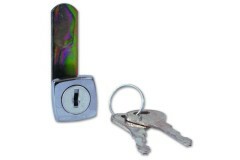 Even duplicate key copies from other brands of keys such as JMA, Silca and so on, will generally reference the key profiles as an 'LF' number such as LF2, LF4, LF20 and so on. 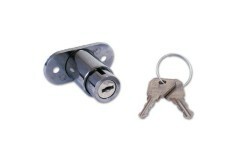 This all makes it easy to identify that your lock is most likely a Lowe & Fletcher lock, whatever it's fitted into. 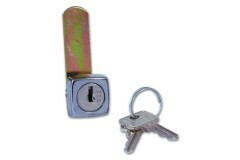 The Lowe and Fletcher 1306 Multi Drawer lock is suitable for use with wooden furniture. It uses the .. The Lowe & Fletcher 2603 Mini ?T? 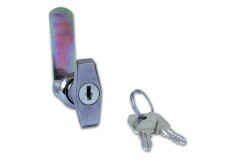 Handle, Camlock operated by ?T? handle. Lowe and Fletcher Hand..
Lowe and Fletcher 5800 suitable for wooden furniture. 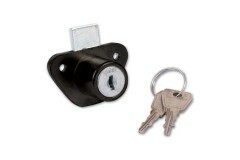 The Lowe and Fletcher 5800 furniture lock use.. 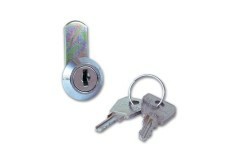 The Lowe & Fletcher suitable for metal filing cabinets.multi-drawer lock can be fitted in a few seco.. The Lowe and Fletcher 5872 formerly 4172-0300. Suitable for wooden furniture. The Lowe and Fletcher .. 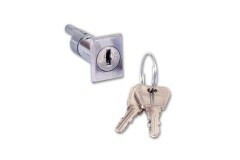 The Lowe and Fletcher 2201 metal cupboard door lock comes pre master keyed so all you need to do is ..
Lowe and Fletcher 5804 Formerly the 4103-0300. Suitable for wooden furniture. The Lowe and Fletcher .. 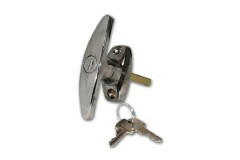 The Lowe and Fletcher 2831 metal cupboard door lock comes pre master keyed so all you need to do is .. 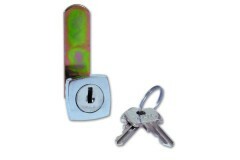 The Lowe and Fletcher locking knob, Is a knob with and inbuilt locking mechanism. Lowe and Fletcher .. 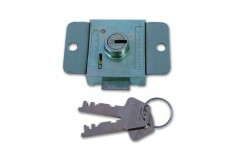 The Lowe and Fletcher 5836 uses key series 18. 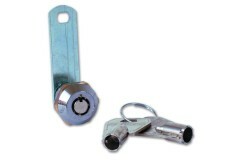 The Lowe and Flecther 5836 slamlocks automatically. 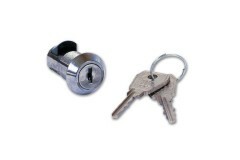 ..
Lowe & Fletcher 0201 Mini Camlock. 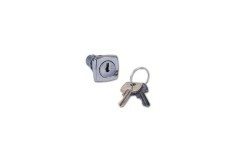 Lowe & Fletcher 0201 Mini Camlock can be locked and unlocked, The.. 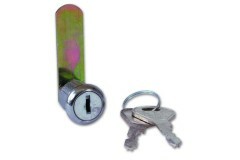 The Lowe and Fletcher 1332 Camlock, suitable for use with the 92 key series. 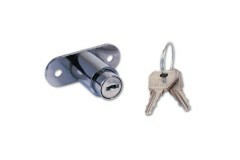 The Lowe and Fletcher i..
Lowe & Fletcher 1334 uses key series 92, The Lowe and Fletcher Cam lock can be locked or unlocke..
Lowe and Fletcher 1613 Garage Door Handle is supplied c/w fixings. Operation Handle deadlocked by.. 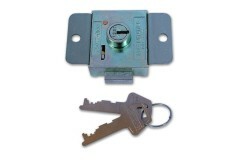 The Lowe and Fletcher 1336 Camlock suitable for use with the 92 key series. Lowe and Fletcher 1336 c.. The Lowe & Fletcher 1339 suits the 92 key series. 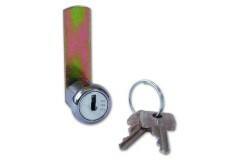 The Lowe and Fletcher is locked or unlocked by key..
Lowe & Fletcher 1340, 1341, 1342 Camlock, Suitable for use with the 92 key series. Lowe and Flet.. 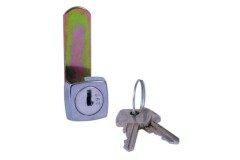 The Lowe and Fletcher 1363 Cam lock suits key series 92. 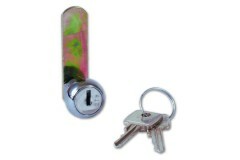 The Lowe and Fletcher cam lock is locked an..
1601 & 1618 Garage Small Locking Tee Handle, 1618 handle supplied c/w caulking cam. Operation .. 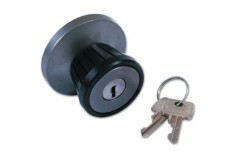 The Lowe & Fletcher 1436 Cam lock will suit key series 95-97. The camlock can be locked or unlocked .. 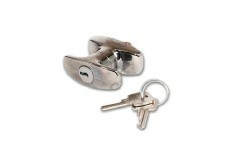 The Lowe and Fletcher 1439 Cam lock suits key seires 95-97. The Lowe and flecther is operated by the.. 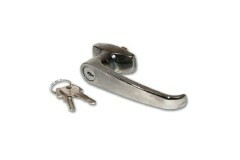 The Lowe and Fletcher 1602 L type handle is handed so the correct handing must be chosen. Operatio.. 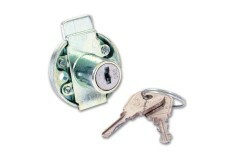 The Lowe & Fletcher 4303, 4304, 4314 radial Pin Tumbler Camlock suits key series 28. The key is not .. 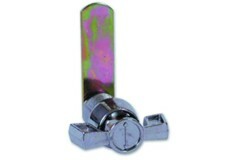 The Lowe and Fetcher Latchlock Camlock is recommended for shackle diameter 7mm maximum. Handle can b..